A group of penguins rob here and there in Antarctica,human's life are in a big mess because of those evil penguins. They always come in group and do harmful things to human being. 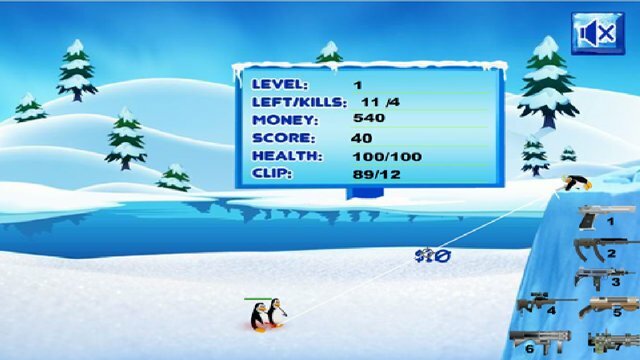 One day,penguins gangsters found the place where people live peacefully and they started to attack them! They want to burn this place into ashes with their weapons,so people living there have to defend their homeland. They arm themselves with different types of weapons to get rid of an evil breed of penguins that have invaded Antarctica and peace!